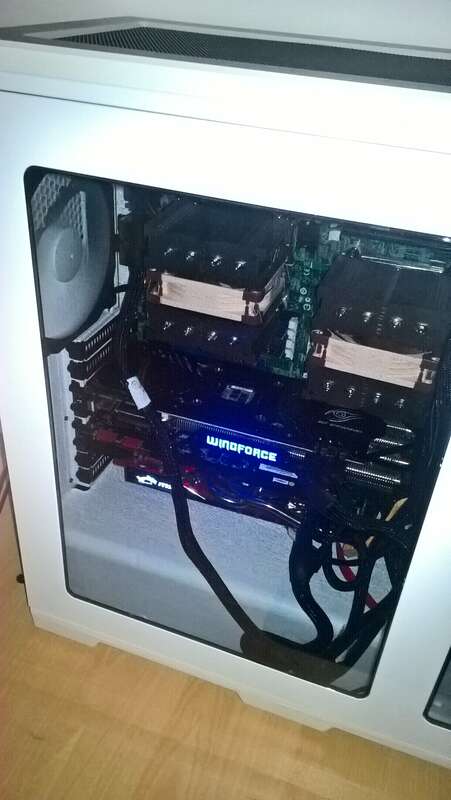 I have built a workstation from these components; All components used are brand new except the Motherboard and CPUs. It is all working fine, except the CPUs are getting rather hot; they are going up to around 80/90c after a few minutes data processing on 100% load; I have been advised this is way to hot and they should be at around 60c. The heatskinks and fans are connected and are spinning, but I cannot seem to find a way in the bios to get this to increase cooling. The Motherboard is in the case and the case Fan Hub is connected to Sys_fan_7 on the MB (the only spare 4pin fan header). The CPU fans are connected to CPU_Fan_1 and CPU_Fan_2. I have tried changing the limited options in the BIOS with no change; all there seems to be is an option for power or performance, but no related to CPU fans. I have not updated the BIOS as I have been advised this could cause major issues if this fails, and have taken this advice as being a newbie system builder. 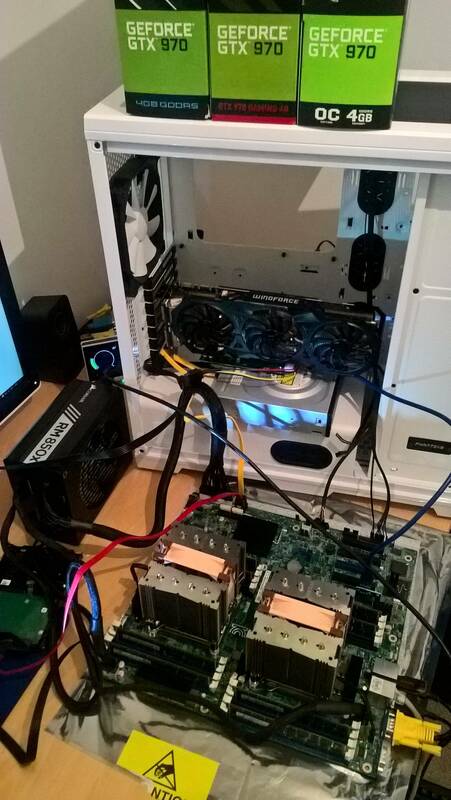 Additionally, someone else that had built this machine using the same parts as I, explained that after he updated the BIOS there was no drop in CPU temp; indeed as it now fully implemented the Turbo boost of the Xeon CPU's this infact increased CPU temp slightly. Additionally I currently have two GTX970's in the workstation, which I have now removed to keep case and CPU temp down. THE SOLUTION IS THE LAST POST DONE BY MYSELF - ALL FIXED NOW! The answer turned out to be..
Basically you had to run the SDR update, which in turn reset the FAN settings for a Non-Intel case which finally sorted out the CPU heat problems. They are now running at a cool 60c when on 100% load across all 32 threads for weeks continuously processing data. Not the answer you're looking for? Browse other questions tagged cpu motherboard bios fan cooling or ask your own question. 50 Celsius degrees on Intel Xeon when idle - is it normal? Why aren't my case fans spinning? Can upward CPU dual fan cooling cause heat issues? Can I connect 4-pin PWM fans to 4-pin voltage controlled fan headers? Is it recommended to use CPU_OPT header for second CPU fan?